After the first three successful phases of our accelerator for the content industry, the fourth round of CONTENTshift will start in the spring of 2019! We are looking forward to all future partners and acquaintances that our program will bring together. With CONTENTshift, we make the link between founders, investors and industry experts who collectively work on new ideas for the content industry, since 2016.With a little bit of luck, founders with business models from or for the content industry can participate in our 3-month-program. The best start-up will win 10.000 Euros and the title “Content Startup of the Year”. Everyone else benefits from business model checks, workshops and the best contacts in the industry. Startups from the content industry can apply for our accelerator program from March 6 to May 15. All startups that haven’t been among the five finalists last year and that fulfill the conditions of participations are eligible to apply. You can find further information on our website. We are looking forward to your submissions and keep our fingers crossed for you! 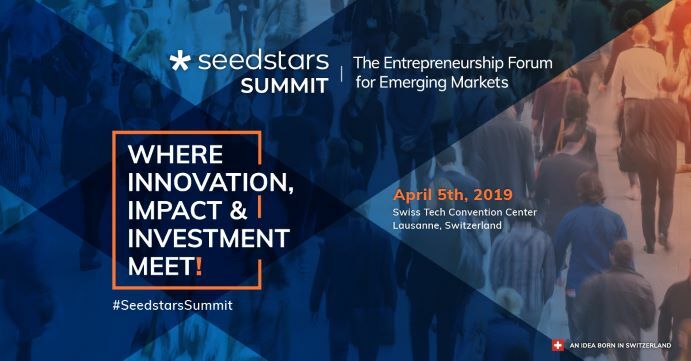 04apr(apr 4)8:0005(apr 5)16:00SEEDSTARS SUMMITJoin us for the Seedstars Summit in Lausanne, Switzerland! The Summit will take place on 5th of April and will gather key players in innovations and technology from all corners of the world, from 70 countries to be precise. Without a doubt, the event has become like a bank holiday in celebrating entrepreneurship. Today, we stand at a point where we have visited over 85 countries and opened 10 hubs across the world. Are you ready to join us in this ambitious mission to shape the future of emerging markets?